The landscapes of Lofoten have been an inspiration to me since my first visit to the Islands almost 15 years ago as a young backpacker spending a summer in Scandinavia. I’m not sure why, but it took me several more years before I made my first steps into exploring the Islands in winter. It was then, that I discovered a truly magical side of Lofoten. 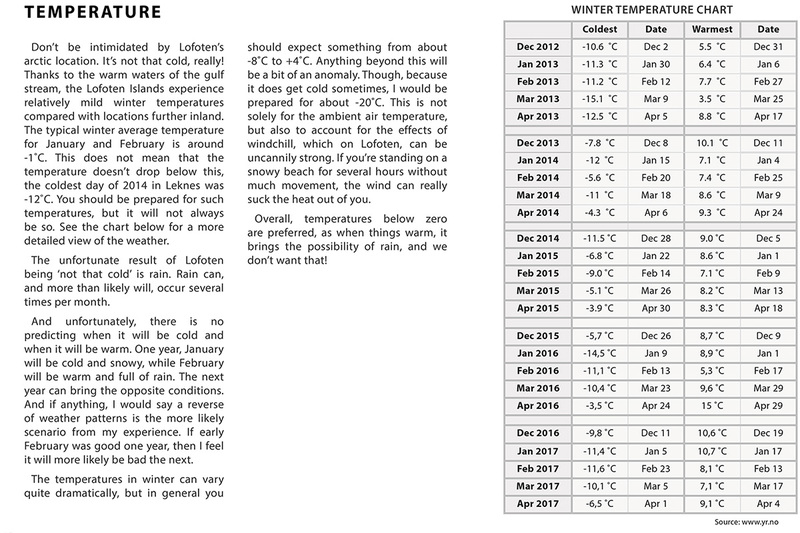 If only there had been a winter guide to Lofoten in those days, I would have saved myself many days of trial and error, with unrealistic expectations of what I thought winter on Lofoten to be. I had seen pictures of snow covered mountains rising from the sea and skies full of northern lights. But as returned at different times during the following winter I learned what could be expected, the light, and what was beyond my control, the weather. 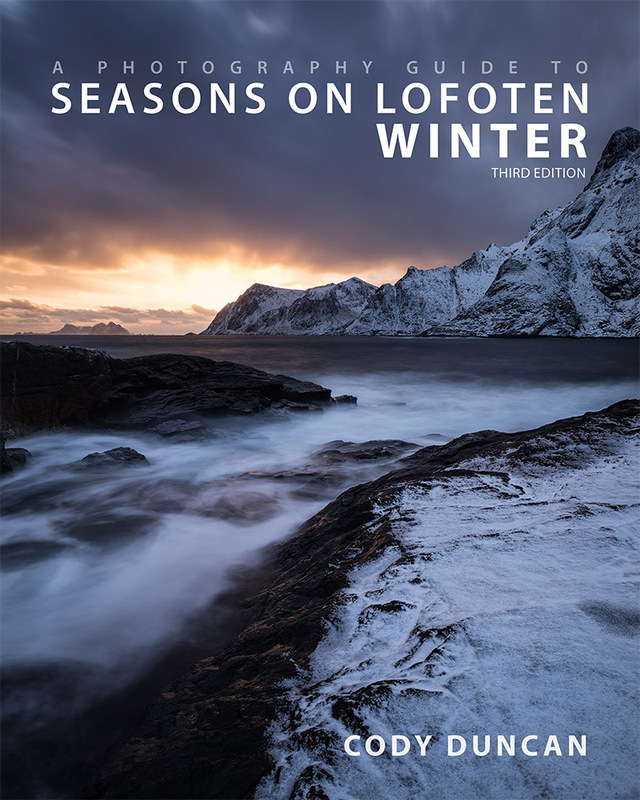 And so I decided to write Seasons On Lofoten – Winter; where photographic inspiration is merged with practical travel advice in the first guide which brings understanding to the unique seasonal aspects of photographing the arctic winter. Seasons On Lofoten – Winter is an introductory photography and travel guide focused on the unique nature of winter on the Lofoten Islands. 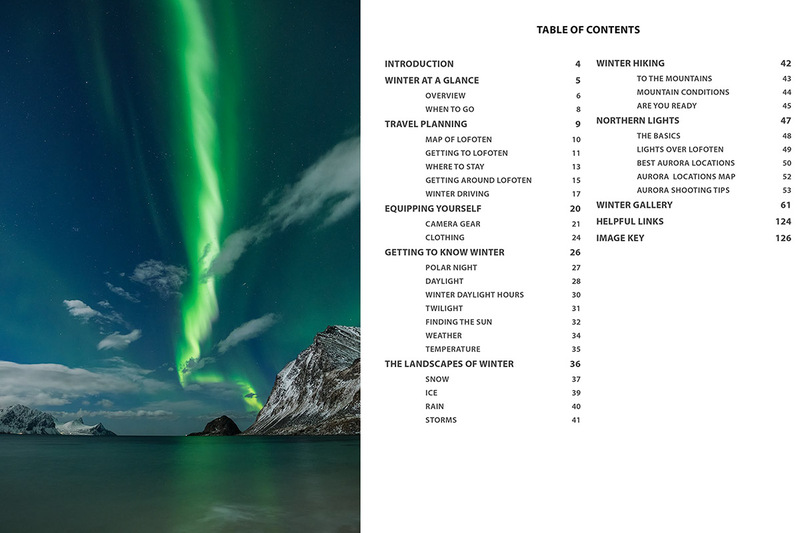 More than just a location guide, this ebook is written from Cody’s years of experience photographing the Islands under the changeable conditions of the arctic circle. 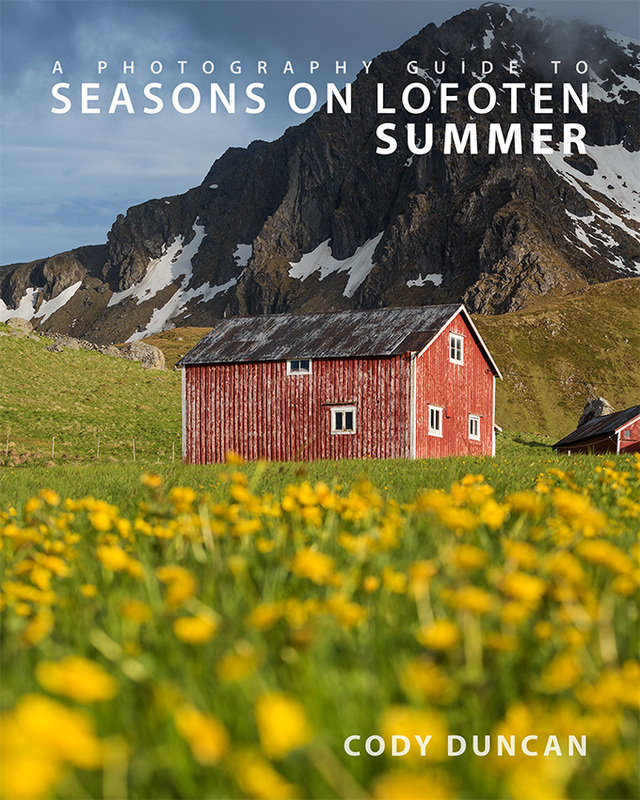 While no two winters are ever the same on Lofoten, this book provides you with an overview of what to expect while planning your trip. An introductory overview of what to expect during the winter months on Lofoten. This is the chapter to read before you have bought your plane tickets and are not quite sure if you want to visit in January or March. The practical information for planning your trip to Lofoten. What’s the best way to get there? Where on the Islands should you stay and for how long. How scary is it to drive in winter. Camera gear and clothing: What you need to have in your bags to keep yourself warm and dry while focusing on your photography. 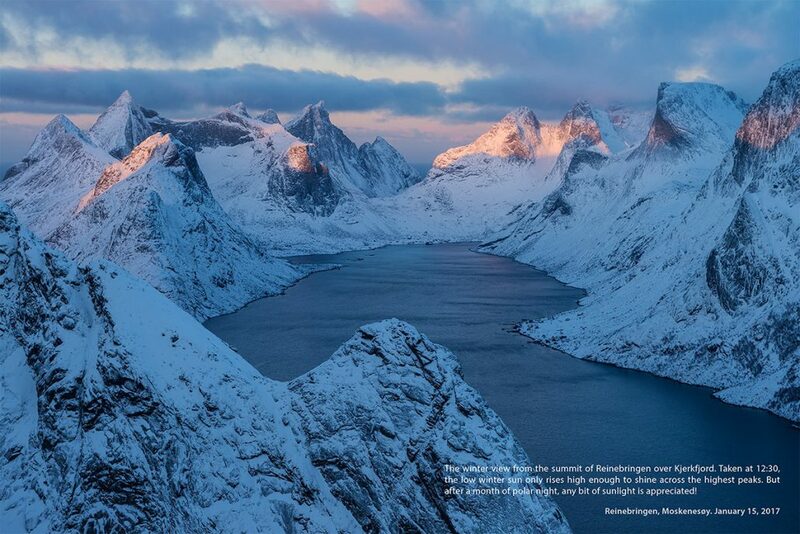 This chapter will help you understand the unique nature of photographing Lofoten in winter. How many hours of daylight and twilight to expect. Where will the sun be. And what type of weather you can expect. 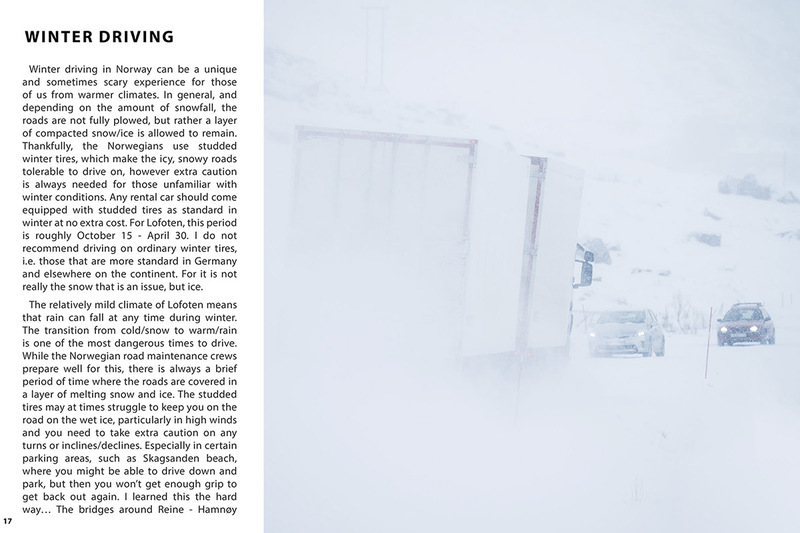 Photographic examples and descriptions of the various winter conditions you can expect to find once you reach Lofoten. You are thinking about leaving the road and heading up into the beautiful frozen mountains that surround you. This chapter focuses on the basic knowledge and experience you should have to keep yourself safe while exploring the wild side of Lofoten. 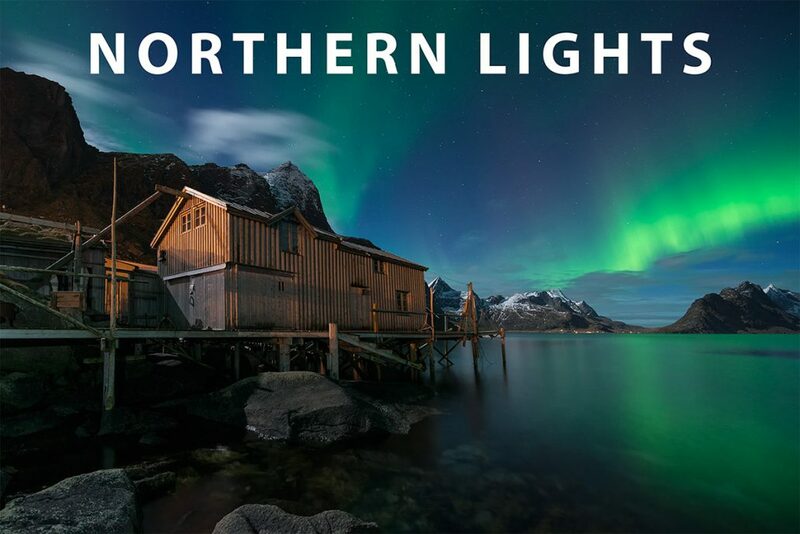 An introduction to shooting the northern lights on Lofoten. A map and descriptive guide to some of Lofoten’s best northern lights locations as well as some basic camera tips if shooting the aurora for the first time. 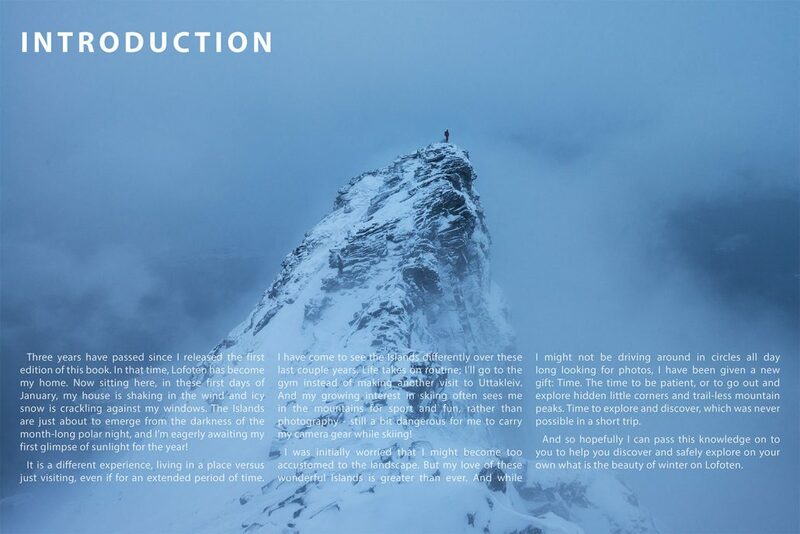 A 62 image portfolio serving as a visual guide to some of Lofoten’s most scenic views. A collection of the best online resources to help you plan your trip. Location information and camera settings for all photos shown in this book. While I think this ebook is perhaps the next best thing to having your own personal travel on the Islands, it’s not up for me to decide. If, in the unlikely situation, you are not 100% satisfied with this product, I offer a 30 day money back guarantee. No questions asked.